Secure hair into ponytail with Frizz Dismiss Flyaway Fix frizz sheets. Split ponytail into two and braid each section of the ponytail. 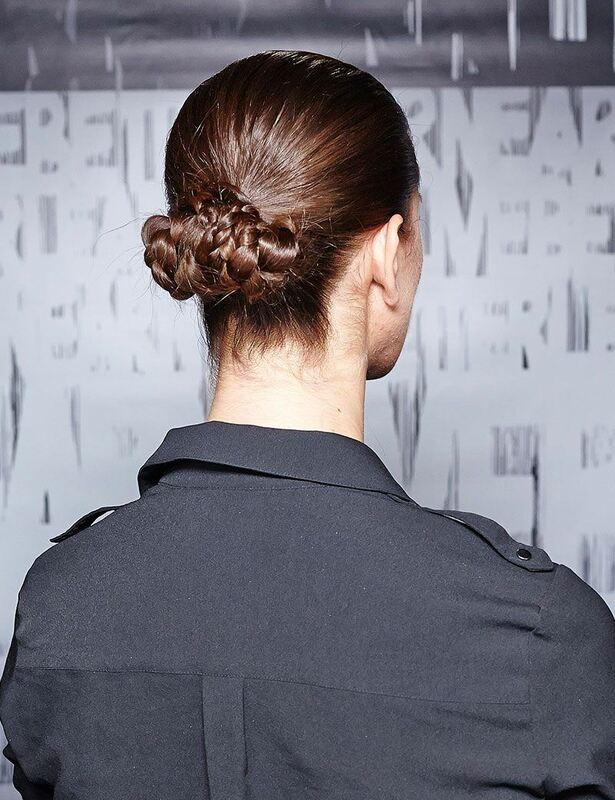 Curl braids into two buns at base of ponytail and secure with bobby pins. 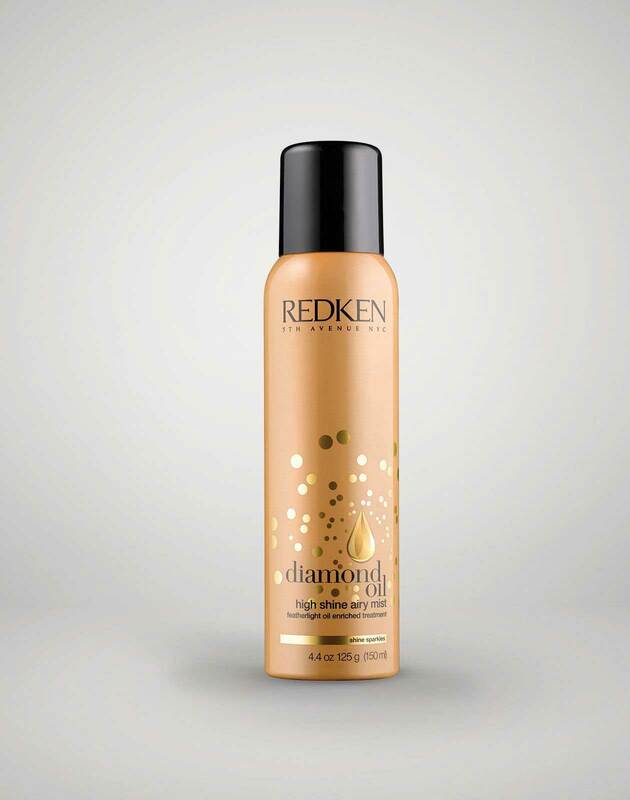 Use Diamond Oil High Shine Airy Mist and fashion work 12 and spray for a sleek finish.